CEO Peter Egelberg comments the scientific article recently published by researchers at the Department of Nanobiophotonics, Max Planck Institute for Biophysical Chemistry. To understand the complexity of life and the mess evolution has created, life must be observed at different scales. Scientists need to understand the inner workings of a cell. But, they also need to observe cells on a larger cell population scale to understand how cells collaborate and respond to each other. The importance of this is well illustrated by our intelligence. It originates from the individual brain cells. But, it is the collaboration of the brain cells that creates our intelligence. HoloMonitor (left) monitors the behavior of the individual cells in a living cell population. 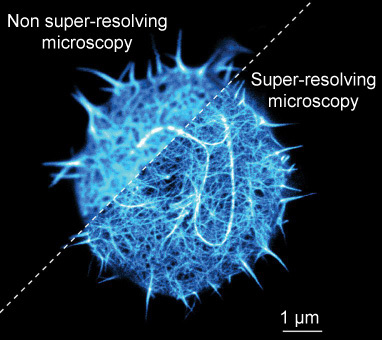 At a smaller scale, super-resolving fluorescence micro­scopy (right) scrutinizes (swe: granskar) the interior of a single cell in great detail. As pointed out by one of its inventors, Nobel Prize winner Eric Betzig, super-resolving fluorescence microscopy has a problem. The higher resolution it achieves, the more destructive it becomes, making super-resolving fluores­cence micro­scopy in its current form unsuitable for imaging anything that is alive. In a very unusual presentation by a Nobel Prize winner, Eric Betzig talks about his frustration over the limitations of super-resolving fluorescence microscopy. At the end of the video Betzig also talks about the “valley of death” — the problematic gap between academia and industry that slows down the dissemination (swe: spridningen) of new scientific tools and the advancement of medical science. I recently discussed this problem and the cost of drug develop­ment in the commentary “The label-free promise”. 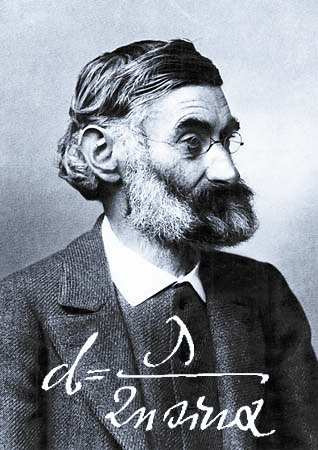 Prior to the invention of super-resolving fluorescence micro­scopy, Ernst Abbe’s equation was believed to be the resolution limit of optical microscopy — stating that it is impossible to see internal details of viruses and bacteria, and just barely possible to view cells in any meaningful detail. Headed by another Nobel Prize winner and inventor of the technique, researchers at the Max Planck Institute and at the German Cancer Research Center (DKFZ) are working on improving the live cell imaging capabilities of super-resolving fluorescence microscopy by improving the special dyes that the technology requires. In sharp contrast to super-resolved microscopes, HoloMonitor images and measures cells without using invasive dyes or reagents. Using HoloMonitor, the German scientists proved that cells stay alive and continue to divide after being stained with the improved super-resolution dyes. The above image sequence show a cell division imaged by HoloMonitor, proving that the improved super-resolving fluorescence microscope dyes developed by researchers at the Max Planck Institute does not kill the cells. Source: Hydroxylated Fluorescent Dyes for Live-Cell Labeling: Synthesis, Spectra and Super-Resolution STED, Chemistry — A European Journal 2017. As travelers, we all become aware that scale matters. We start out by using a large-scale map to find our way to the city we are visiting. When we reach the city, we pull out the small-scale map to find our hotel. Cell biology is no different. To find interesting cells (cities), cell biologists need a low-resolution microscope (large-scale map). To study the interior details of a cell (city streets), a high-resolution microscope (small-scale map) is needed. HoloMonitor has the ability to non-invasively characterize a large number of cells. This allows HoloMonitor to identify and guide super-resolving imaging capabilities to specific cells in a cell population. By combining technologies and scale in this way, a new game-changing tool for medical science would be created that allows scientists to identify and study rare living cells in super-resolved detail. Metastases are believed to originate from a rare type of tumor cells known as cancer stem cells. A combined tool for identifying and studying rare cells would provide cancer researchers with new information to better under­stand the nature of cancer stem cells, and hopefully allow them to develop treatments against these rare and deadly cells.